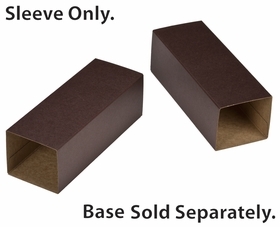 The geometry of this six inch macaron box sleeve is monolithic when matched with its corresponding base, but the chocolate brown color maintains a warm and inviting presentation. 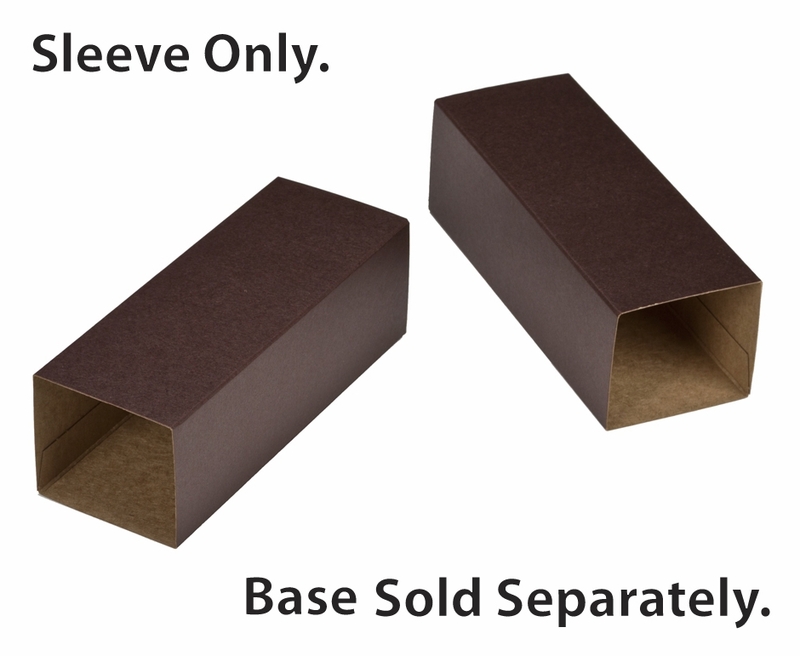 This sleeve and the box that works with it, were designed for bakers looking for a refined packaging solution without the high-end cost. 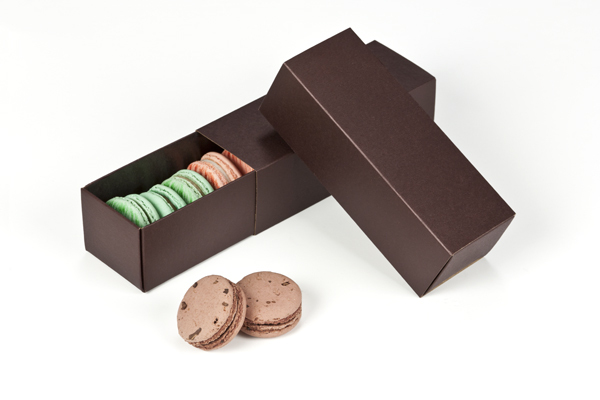 The chocolate brown macaron box is a five star hotel for your confections available from your box makers at a motel price.